Computer Vision is an emerging field in computer science that has recently created an unprecedented hype owing to its avant-garde approach and innovative applications. At its core, Computer Vision is an amalgamation of various fields of engineering including Computer Science, Artificial Intelligence, Physics and Mechanics. The computer vision algorithms make use of a worldwide library of programming functions called OpenCV. OpenCV is just an acronym for Open Source Computer Vision and it gives valuable means to the developers for creating real-time applications powered by computer vision technology. As a matter of fact, the computer vision technology has an entire fleet of potential applications in its bag. And bit by bit, all these ideas are taking shape as the most advanced and innovative applications that we are using today or we are about to in the near future. 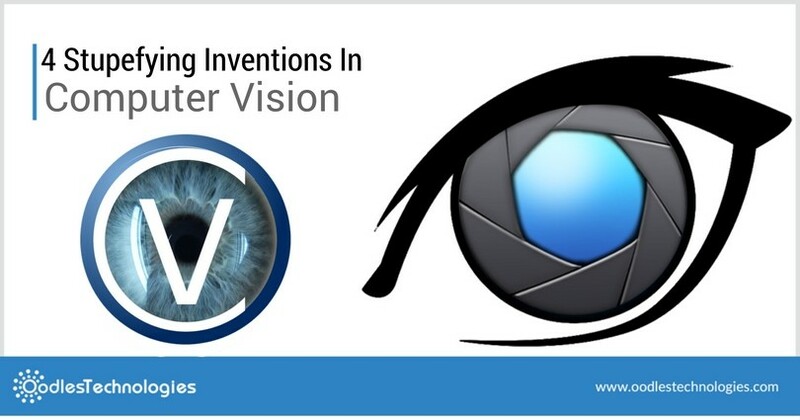 In this blog, I’ll introduce you to some jaw-dropping inventions in Computer Vision happened over the last couple of years. So let’s get started! Also read Amazon Launches A New AI Platform For The Developers. Eye tracking is basically a process of monitoring the eye movements relative to the position of the head of a person. An eye tracking system continuously monitors the point of gaze of a person and takes the required actions accordingly. An eye tracking system provides a perfect medium for you to interact with the computers. This will greatly help the physically disabled and paraplegic persons to perform daily tasks using computers, mobiles and tablets. Smart Eye is one such company that offers an exclusive range of eye-tracking solutions for various research, technology and manufacturing companies. The image recognition systems are meant to recognize various objects, persons and faces depicted in a photograph. This kind of image recognition techniques are specially used in high-end mobile and computer applications for all sorts of purposes. One apt example of Image Recognition can be seen in the latest version of the Apple’s mobile operating system i.e. iOS 10. iOS 10 automatically recognizes different faces from your photo library and sorts them into folders. Each folder contains all the photos of a different person. For all one knows, this particular technique is not entirely new. Gesture recognition is being used for quite a long time especially in robotics. But now with computer vision, it has gone on to the next level. Several computer vision oriented companies like PointGrab offer smart gesture recognition solutions for home appliances where you can control your appliances just by some special hand movements. Computer Vision has a very significant role to play in all the automated self driving cars. This where the combination of numerous technologies is used such as object recognition, people tracking, reconstructive 3D vision, radar sensing, ultrasonic sensing and many others. Most of these technologies come under computer vision and it is therefore perceived as a major breakthrough for the computer vision enthusiasts. Tesla Motors has been a major contributor here and the company has built an array of self-driving cars that are currently going through numerous beta testings.